Gentle reader, are you looking for a great way to ring in the fall? 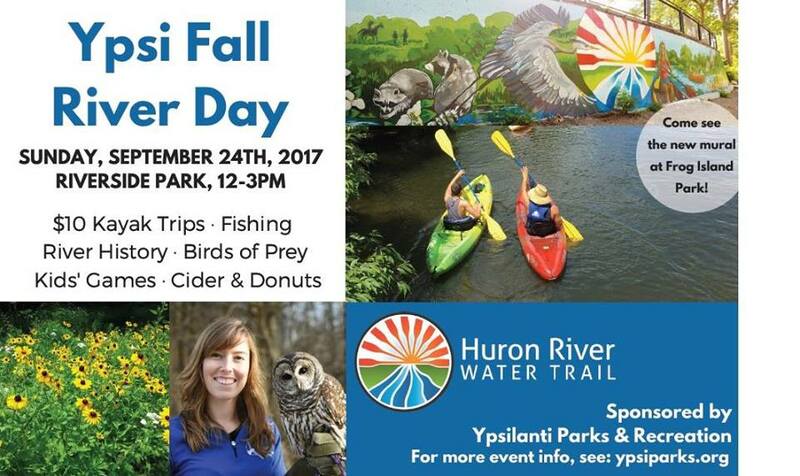 Look no further than Ypsilanti Fall River Day this Sunday. This event has everything: kayak rentals, birds of prey, nature walks, fishing, cider, and donuts. It'll be a great time. On a personal note, I was appointed to the Ypsilanti Parks and Recreation Commission earlier this year, so if you do come to this event, it will make me very, very happy. 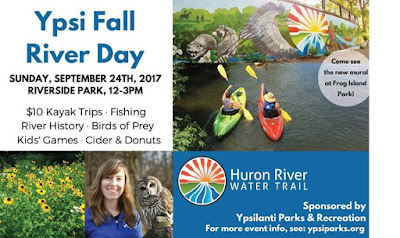 Ypsilanti Fall River Day is this Sunday, September 24th from noon to 3 pm in Riverside Park.